The monthly Welsh language general periodical of the Ivorites friendly society. The periodical's main contents were articles on current affairs, geography, astronomy, the Welsh language and the responsibilities of Ivorites, alongside foreign and domestic news, reviews and poetry. 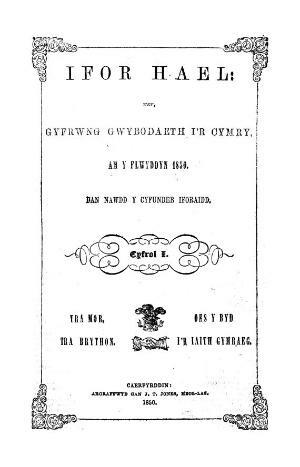 Associated titles: Yr Iforydd (1841); Y Gwladgarwr (1851).